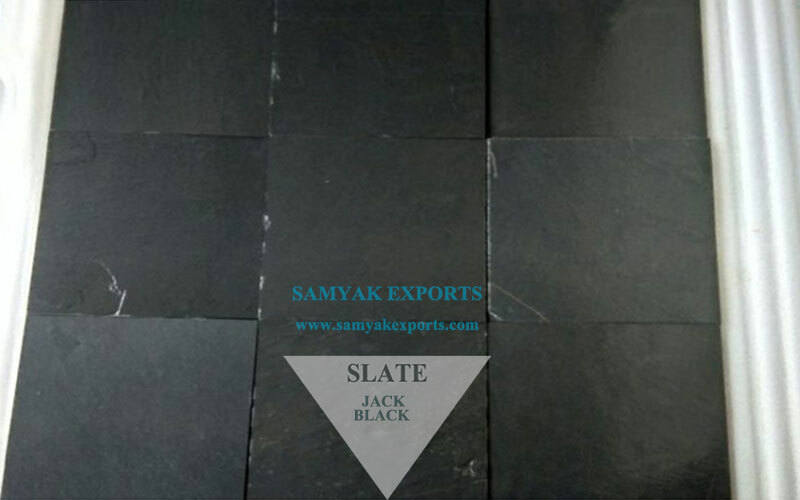 Samyak Exports welcomes you to our exotic collection of Indian Slate Stones. 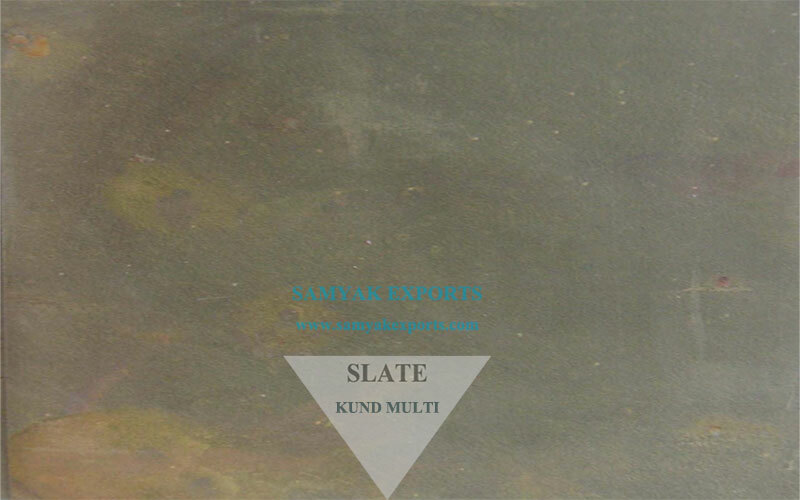 We are one of the leading and trustworthy Slate Stone Manufacturer and Slate Stone Exporter from India. We have an excellent track record by supplying the best quality of this exotic stone to Indian and International customers. Available at most competitive prices, our top-notch slate stone has ever-growing demand. Being the most recognized Slate Stone Manufacturer Company; we have earned the prestigious ISO 9001: 2008 certification and have become trustworthy for our esteemed client. As a pioneer Exporter, we cater the broadest portfolio of naturally finished stone blocks with exquisite beauty, functional diversity and viable resilience. Since the inception, we have strived to maintain the valuable relationships with our distinguished patrons across the globe. 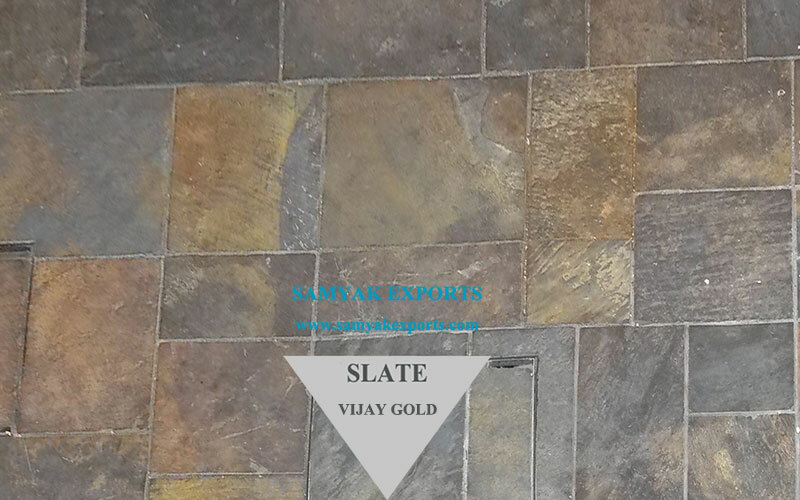 Due to our excellence in this field, we take pride in being one of the most trustful natural slate stone suppliers. 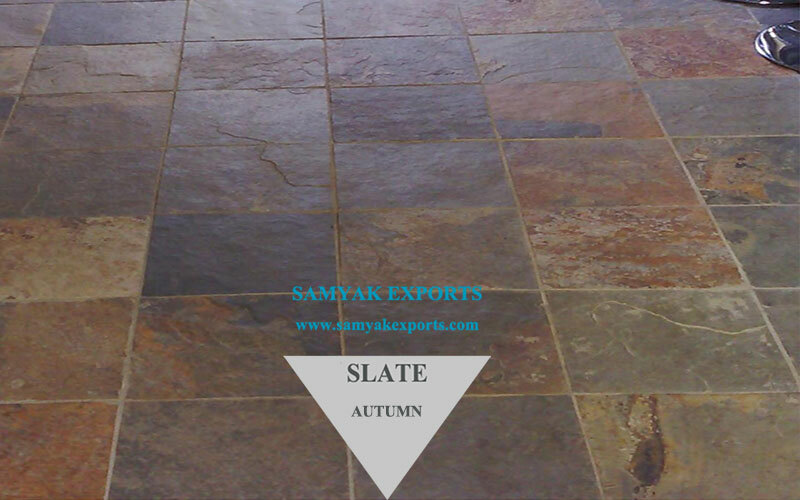 Slate is a fine-grained metamorphic rock, foliated and derived from an original shale-type sedimentary rock. It is composed of clay or volcanic ash through low-grade regional metamorphism. 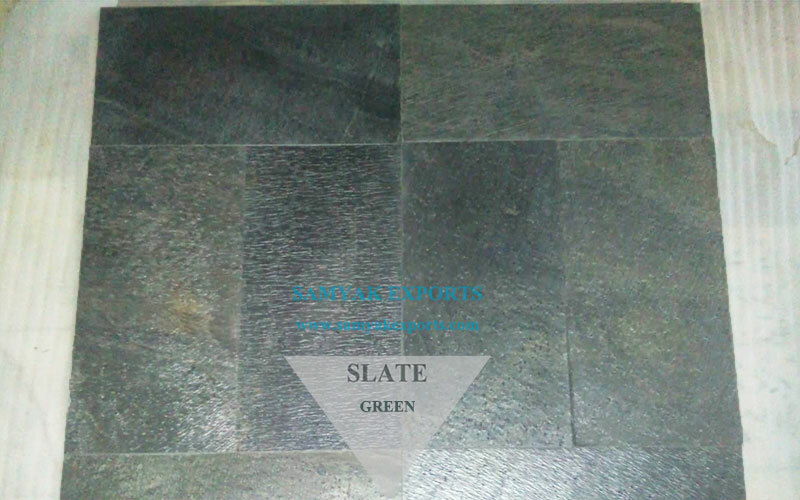 Contrary to popular belief, a slate is one of the lowest maintenance when used for floors, easy to clean and maintain. It has resistance against chipping, abrasion and cracking while offering long life at a very affordable price. Valued throughout the century for its unparalleled sculptural and architectural qualities, it has a number of applications you must know. Our unique quarry and finishing processes result in products that are harder, non-absorbent and more consistent in thickness and easy to install. 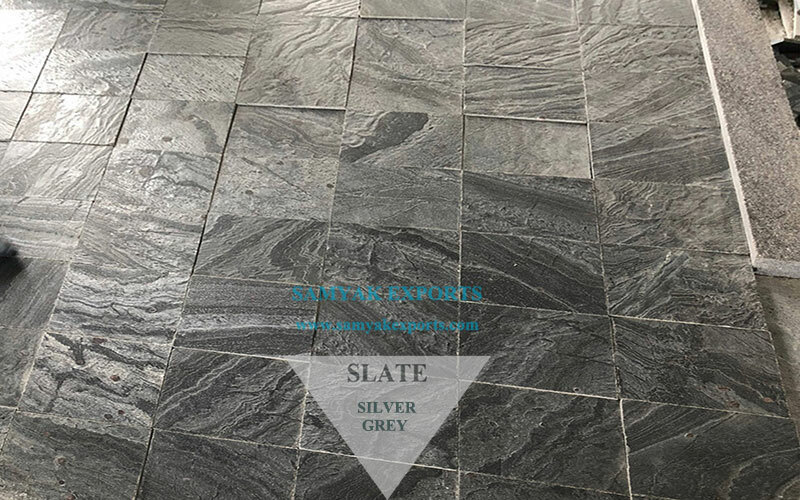 Our rich industry expertise and modern infrastructure bring an extensive collection of natural slate colors such as black, purple, green, red, grey along with other eye catchy shades. Our product range is distinctly procured from various regions of the country. Moreover, we own a rich legacy of experience in producing and exporting this most demanded natural stone. It has both interior and exterior applications such as construct walls, flooring and used for other construction needs. It offers a natural non-slip surface and applicable for different residential and commercial use. Other uses are on walls, roofs, shower enclosures, around pools - the list goes on and on. We have become a trustful business partner and managed to earn a worldwide presence. We are in tune with the global trends and cherished by our prestigious clients for exporting premium grade of stones. Our top export locations are USA, Dubai, Qatar, Oman, France, Kenya, Australia and Malaysia and many countries in Russia and Africa as well. Quality is at the core of our business operations and equips us to be an accountable entity. Our enlarged footprint is all due to the continued trust and support of distinguished clients. Our qualified team will help you select the right slate stone color and size as per your need with a wide variety of packaging facility. We have dedicated customer service for order maintenance to ensure timely delivery. We are happy to answer all your queries and eager to serve you.